When we feel the crisp air of the first autumn day or a blast of heat in the summer, it is time not only to re-evaluate our wardrobe, but also the settings on our HVAC systems. The average household spends upward of $2,000 a year on energy costs. You can protect your wallet and the environment by making minor modifications to your thermostat settings for a variety of different home HVAC situations. Passport? Check. Tickets? Check. HVAC system set to an energy-efficient level? Don’t ignore this equally important step to consider in your vacation countdown. If you’re leaving for a summer vacation, set the thermostat to 85 degrees Fahrenheit and around 50 degrees during the winter to prevent pipes from freezing. For every degree you raise the thermostat during the summer, you can save 2 to 3 percent on electricity bills. Invest in a programmable thermostat tied to your HVAC unit that you can set by date to ensure that you return to a comfortable, climate-controlled home. People generally adjust their thermostats when they are at work to save energy and money, keeping the temperature adjusted enough to make a meaningful difference in the month’s electricity bill. But no one wants to come home to a horribly stuffy or an inhospitably frigid home after a long day at work. A modification on this reasonable solution is to turn on your HVAC system’s fan when you’re not at home to filter and freshen the air by circulating the air regularly without the expense of heating or cooling an empty house. We have all been to those gatherings where the great food and conversation are practically undermined by the stifling heat of the room. From menu and drink choices to place settings, you need to consider a dizzying array of options for a top-notch gathering. You can make your party the talk of the town by having your HVAC system serviced and repaired before your bash to head off any potential problems. Then turn your system on a few degrees lower than usual for several hours before your party. The temperature may feel chilly when it’s only you in the home, but your house will be the perfect temperature once your guests have filled your living spaces. Like so many new smart home innovations, minor modifications to how you use your HVAC system can keep you comfortable inside no matter the weather outside. 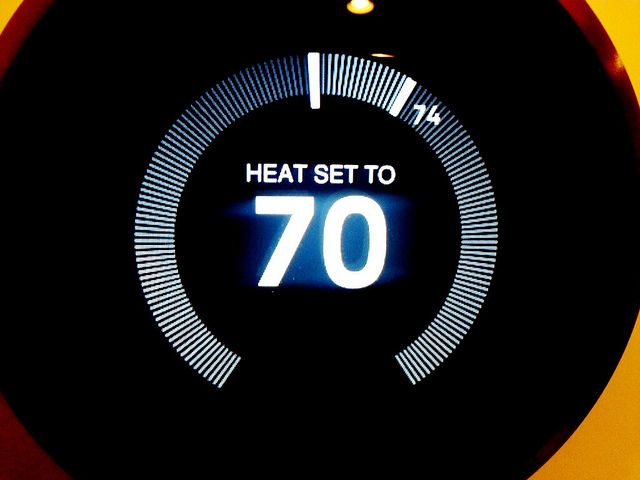 You can make a meaningful impact on the environment with easy solutions such as using a programmable thermostat, employing the fan setting to keep air circulating (particularly helpful when you are away or doing heavy cleaning that would otherwise allow pockets of dust to settle), and adjusting your thermostat by even 1 or 2 degrees. By making small adjustments to how you use your HVAC system, you can feel better and find a fun and useful way to put these new savings to good use. Vacation, anyone?